According to the latest commentary spreading across the internet courtesy of the Healthy Home Economist, the answer is no. And there is science to back it up. I am no scientist, but the rhetoric that gluten is causing all of the world’s problems has always given me pause. Nothing is that evil. Or black and white. When I hear that people at AA meetings are being told that going gluten free will cure their addiction issues, I have to roll my eyes. But something has clearly changed in the American food chain. People are blaming it on GMOs and wheat. GMO wheat doesn’t exist in the U.S. so that can’t be it. And wheat has been around for thousands of years so why the change now? Some people return from other parts of the world claiming that other wheat doesn’t give them the health issues that conventional U.S. wheat does. The wheat that Great Harvest uses is anything but conventional. So what is the issue? The Healthy Home Economist article offers a plausible explanation in terms of how harmful chemicals are being added to the supply chain for conventional wheat in the U.S. I don’t know if this is the issue or not, but I can comment on whether it applies to Great Harvest because we know exactly where all of our wheat comes from. We’ve received a lot of questions about our wheat since the Healthy Home Economist article was published, and understandably so…the explanation put forth there is disconcerting. 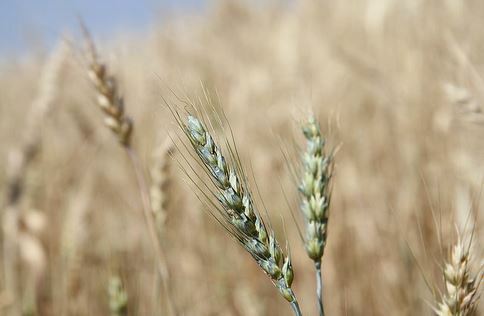 However, the wheat that Great Harvest uses is anything but conventional— it’s the best available wheat in the country. Our wheat sourcing, fresh milling, and slow baking methods are unique among bakeries; that’s precisely what makes Great Harvest so special. Do Great Harvest's farmers drench their wheat with glyphosate? No. Does Great Harvest’s wheat contain these chemicals? “These chemicals” being defined as the Roundup® (a.k.a. glyphosate) used to drench and desiccate wheat at harvest time. No. That is a definitive statement and I can make it because I know. We make sure all of our farmers don’t do this, not that it would make sense for them to do it anyway. According to our wheat suppliers in the Golden Triangle, no one in Montana uses the practice of desiccating non-organic wheat crops with glyphosate. The farmers we have built relationships with care about the sustainability of the soil over years and are smart business people. These chemicals are expensive— it makes you wonder who could afford to “drench” their wheat with them and still make a profit? We now test all of our wheat for chemical residue and GMOs. But you don’t have to just take our word for it. We test all of our wheat for chemical residue and GMOs before it gets shipped to a bakery. This is leading edge testing and we are using it to educate our farmers and the public. We test our wheat for GMOs just to make sure and so we can say we do. We have zero reason to worry about GMOs showing up in our wheat, as GMO wheat is not commercially available in the U.S. Chemicals, on the other hand, are rampant in the world’s supply chain so that is a meaningful test. And you know what? It almost had to be invented especially for us. There are lots of tests for fruits and vegetables to determine what has been sprayed on the outside of an orange, for example. But not many people (we know of none) are testing wheat for chemical residue. We started testing for our own education. We want to know what is going on as much as you do. 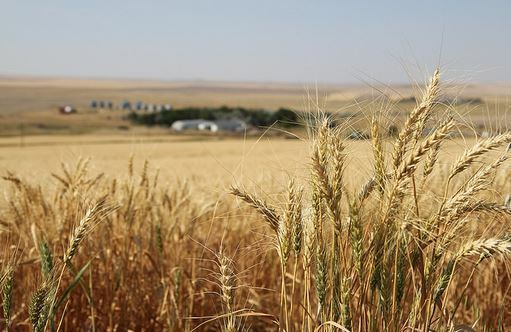 At Great Harvest, the quality of our wheat and the nutritional value of our products is paramount. As we develop that database of knowledge you can rest assured that we will act upon it. And write about it here on our blog. But for now, we can say with absolute confidence that even if this glyphosate bath is the cause of gluten issues with conventional wheat, it is not an issue with Great Harvest’s wheat.